Ferguson teaches us that in elections for local law-enforcement posts the most fundamental choices are made. 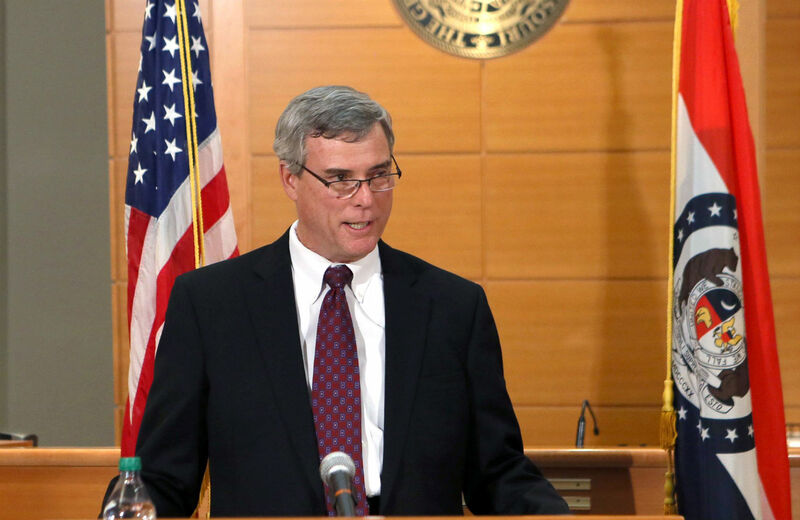 St. Louis County Prosecutor Robert McCulloch’s handling of the Michael Brown shooting case has inspired a storm of controversy. Long criticized for failing to adequately investigate complaints about the police, and for failing to demand accountability in cases of officer-involved shootings, McCulloch’s approach to the grand jury inquiry was the subject of concern from the start. And the prosecutor sparked anger at the finish by delaying the announcement of the grand jury’s decision deep into Monday evening. The prosecutor seized his prime-time platform to delivera rambling and frequently defensive forty-five-minute speech. He went on and on about aspects of the case. Yet he failed to mention that Brown was unarmed when he was killed. Now let’s add some political context. Across America, counties elect top law-enforcement officials as state’s attorneys, district attorneys and prosecuting attorneys. Hundreds of them are Democrats. Some, like Kings County (Brooklyn) District Attorney Ken Thompson and Bronx County District Attorney Robert T. Johnson, have impressed progressives by taking bold stands and developing innovative policies on everything from the drug war to the death penalty to gun violence and domestic abuse. Former San Francisco District Attorney Terence Hallinan, a “wild Irish rogue” who was arrested sixteen times as a civil rights campaigner before his election to the DA post, often clashed with the police on accountability issues during his tenure. As the elected prosecutor in suburban St. Louis County since 1991, McCulloch is a powerful player in Missouri Democratic politics. He has delivered sought-after endorsements to prominent figures such as Claire McCaskill, who had the prosecutor’s support when she challenged a sitting Democratic governor in 2004 and who is now Missouri’s senior senator. In August of this year, McCulloch helped a white challenger mount a successful Democratic primary challenge to St. Louis County Executive Charlie Dooley, the first African-American to hold the position. On the same day, McCulloch, who is white, easily saw off a Democratic primary challenge from Leslie Broadnax, an African-American attorney and municipal judge. The primary came just before the killing of Michael Brown. As protests filled the streets of Ferguson, community leaders argued that McCulloch—because of his long history of maintaining close ties to the police in suburban St. Louis County—should hand off the case. “Many community members don’t believe he can be fair and impartial,” explained state Senator Jamilah Nasheed, a St. Louis Democrat who led a drive that collected tens of thousands of signatures on petitions calling for the appointment of a special prosecutor. McCulloch balked at that request, as did Democratic Governor Nixon. There was no real chance to defeat McCulloch at the polls in the fall, as he ran without Republican opposition. Yet, thousands of St. Louis County voters refused to vote for the incumbent. In Ferguson, for instance, 10,645 voters went to the polls on November 4. Almost all of them cast ballots in races for county executive and county assessor. But rather than vote for the unopposed McCulloch, Ferguson voters cast more than 1,000 write-in ballots and another 3,000 voters simply skipped the race. In the contest for county executive, a number of leading African-American political figures rejected the Democratic nominee backed by McCulloch and endorsed the Republican, who attracted substantial African-American support and lost by just 1 percent of the vote. The Republican, veteran state legislator Rick Stream, was no liberal. But he reached out to the African-American community in suburban St. Louis, listened and made commitments. In return, he was backed by a number of African-American Democrats, led by State Senator Maria Chapelle-Nadal, St. Louis County Council Chair Hazel Erby and the Fannie Lou Hamer Democratic Coalition. For his part, Republican Stream declared, “Mr. McCulloch had a chance to step aside and frankly it would have removed all doubt about having a fair and independent investigation.” The Republican went further, endorsing a proposal to name special prosecutors to handle all cases of officer-involved shootings. He also campaigned in the African-American community and promised to promote diversity in his appointments. Elections for local positions should not happen by accident. And that goes double for key law-enforcement posts. The case for the election of prosecutors is a strong one. Prosecutors have immense authority over the lives of citizens, and citizens should be able to hold those with authority over their lives to account. But for this political process to work, it is important to move beyond simplistic assumptions about Democrats and Republicans, and to seriously assess the records and the promises of candidates from both parties. It is vital to take primary elections seriously. And it is important to recognize the value of independent and third-party challenges to the two-party status quo. There is a good argument to be made for electing prosecutors on a nonpartisan basis. But there is an even better argument to be made that elections for prosecutor positions— be they partisan or nonpartisan, be their primaries or general elections—must be recognized as some of the most vital contests on our ballots. Media and political elites tend to focus on top-of-the-ballot races for president and governor and senator. But, if the experience of Ferguson and St. Louis County teach us anything, it is that at the bottom of the ballot, in races for local law-enforcement posts, the most fundamental choices are made.